Last week, I made a late New Year’s Resolution for this blog. Today, I’m going to make an even later Resolution: To wear a necktie — at least on Mondays, when I go to Muscatine Rotary meetings. Anyone who knows me knows I don’t like ties and for what seem to be fairly obvious reasons. But I was wearing one today at my first Rotary meeting as an official member of the club. 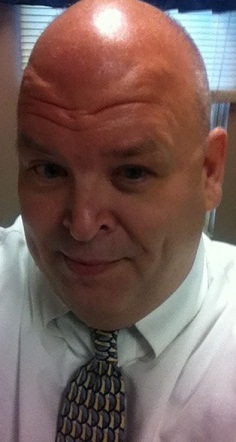 And a table mate commented that I looked better than normal and should wear a tie more often. Since most of the men in this club wear jackets and ties, I guess I’ve decided to join them. At least I’ll join them on Mondays. And even then, the tie may not last much beyond 1 p.m. when the meetings are over. But it’s a start, I guess. I have a fair amount of freedom. I really don’t have to wear a tie. But I think I’ll choose to wear them on Mondays. Lori is so right! I would choose a tie over pantyhose or bra any day.